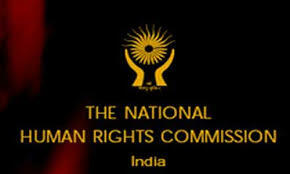 The recent summoning of Chhattisgarh officials by the National Human Rights Commissions (NHRC) for abuse of power is significant due to the expectations from human rights protection institutions in the country to deliver on their mandate. However, concerned officials may never appear before the commission to explain their conduct indicating a steep decline in human rights protection regime in the country. Though the task of protection of human rights was to be carried out under the leadership of NHRC, but it has failed to do justice to its mandate. It is evident from a recent Supreme Court observation in Extra Judicial Execution Victim Families Association versus Union of India case when the court censured the commission for inefficient functioning. The court criticized it for closing down some of the cases of encounter killings “without any application of mind’’ and on the basis of a magisterial inquiry which is essentially an administrative finding. The observations of the court were not unfounded given that the commission has an investigation wing headed by a DGP rank officer. The court went on to describe the commission as a toothless tiger. This cynical approach to these important institutions has reduced the human rights regime in the country to a farce and sent a damaging message across the country. Out of 24 SHRCs, 10 are without chairpersons, nine have vacancy of members and some, including Maharashtra, with consistently high police custodial deaths- have retired police officers as members on their bench.